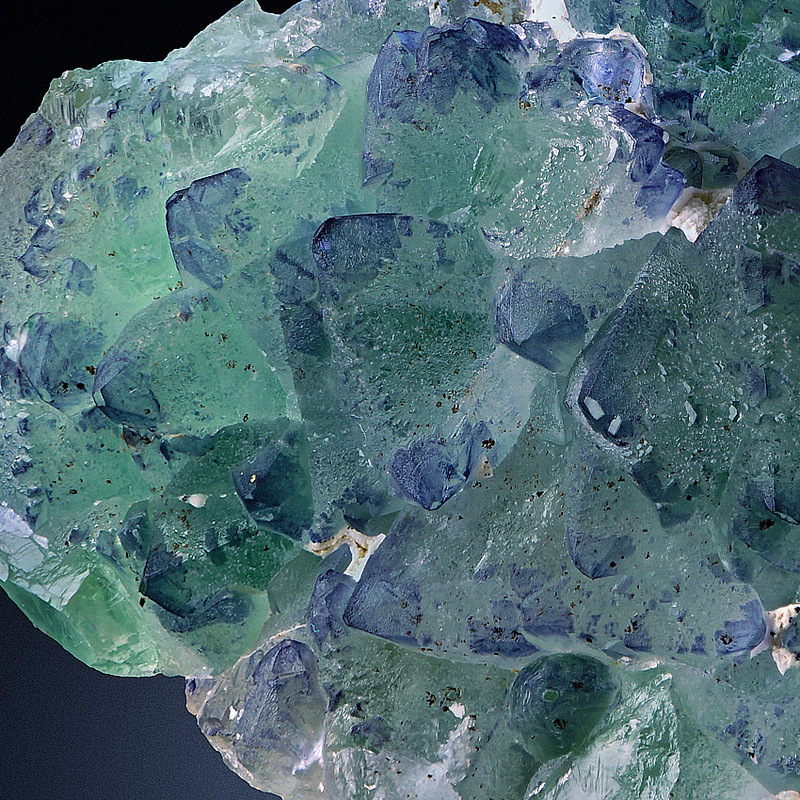 Very interesting specimen of green to purple-zoned fluorite crystals up to 2.0 cm in size perched on rock matrix. Awesome but typical piece from the Gelbe Birke Mine, near Schwarzenberg, Ore Mts., Saxony, Germany. 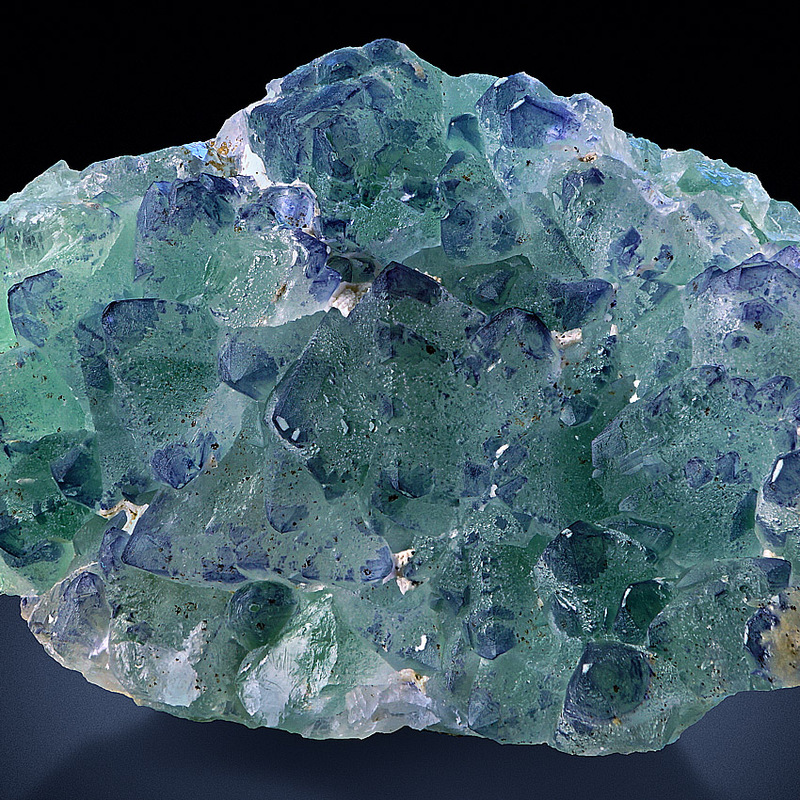 The locality is wellknown for good scheelite specimens and for those bicolored fluorite octahedrons. 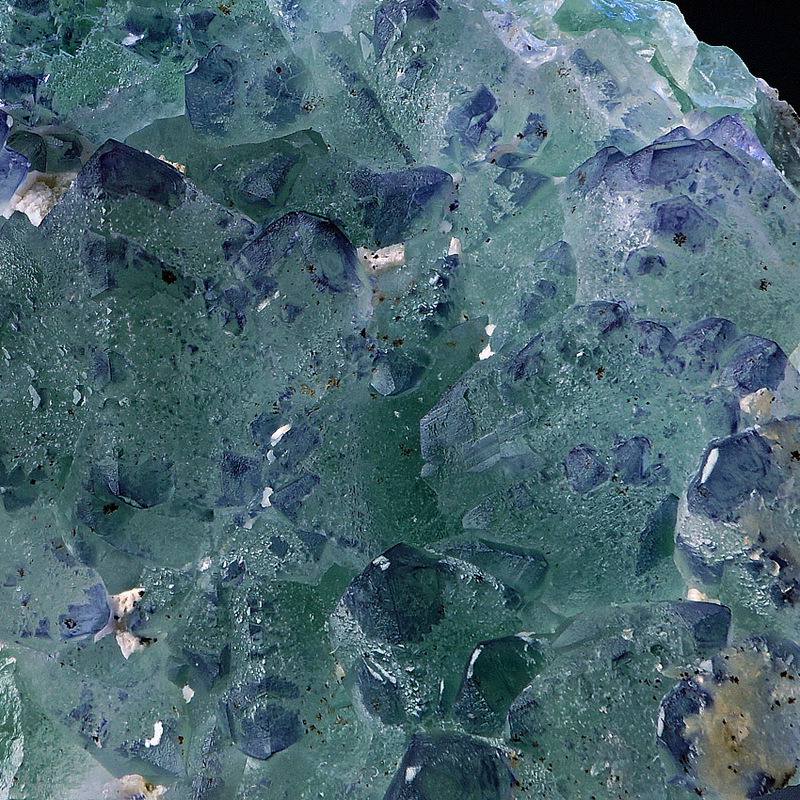 Under the magnification you can see a second layer of parallel grown purple fluorite on the green octahedrons. German oldtime classic! In order to exercise your revocation right, you must inform us (Jörg Wittig, Budapesterstr. 61, 01069 Dresden, Telephone number: 0171-4028844, E-Mail address: info@wittig-minerals.com) of your decision to revoke this contract by means of a clear declaration (e.g. a letter sent via post, fax or email). You can use the enclosed specimen revocation form for this, which however is not mandatory. 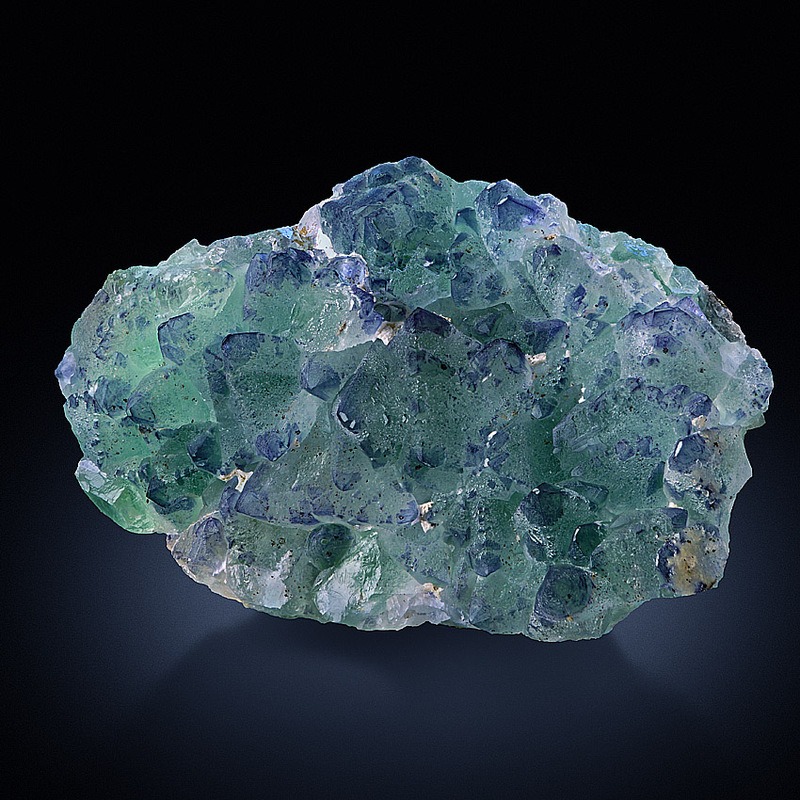 You can also electronically fill up and send the specimen revocation form or another clear declaration on our website (www.wittig-minerals.com). If you use this option, we will immediately send you a confirmation (e.g. via email) about the receipt of such a cancellation. (1) The following business terms are applicable to all the contracts, which you conclude with us as a supplier (Jörg Wittig) via the www.wittig-minerals.com website. Unless otherwise agreed upon, the inclusion, if necessary, of your own conditions is ruled out. (3) You are not bound by your enquiries regarding the creation of an offer that have been conveyed to us. We supply you with a textual and binding offer (e.g. via e-mail), which you can accept within a period of 5 days. 3.2 The complete text of the contract is not saved with us. Before the order is sent, the contract data can be printed out or electronically saved using the browser's print function. After the order is received by us, the order data, the legally-mandated details related to distance selling contracts and the standard business terms are re-sent to you via e-mail.